For consumer-facing companies, a great user experience is key. Learn how you can deliver a pain-free login process and cater to your customers' desires with social data using Auth0. Is the authentication process for your application working for or against you? Many companies are still using simple username and password login, and this has many limitations. The good news is that Auth0 is here to help you put your customer data to work. Not only does Auth0 make authentication simple and pain-free for your developers, but when you use features like social authentication and rules, you’ve got the tools to build robust profiles for your customers. When you have data on what your customers’ preferences are, you have the keys to market to them in a much more powerful way. Your users expect a great experience in your application, and with Auth0 you can make the authentication process for them very smooth. Our Lock widget is battle-tested and backed by data, which means your users get only the best. Ready to learn more? Read on for more or get in touch. Typical marketing methods are fairly straightforward when it comes down to it: craft some general purpose material, send it to prospects or existing customers en masse, and hope for the best. It’s easy to see that this method can only be marginally effective at best. After all, each of your customers and prospects is a unique individual with their own hopes, fears, and dreams, so they can’t all respond to your offer in a positive way. What if we could do better? The good news is that we can. Social data is allowing many companies to get to know their customers in a better and more meaningful way than ever before. When a user chooses to authenticate to your application with a social provider like Facebook, Google, or Twitter, you have a choice over which pieces of their social profile you’d like to request they disclose. When this data is shared with you, it allows you to enrich the profiles you hold for your customers, which opens up a lot of possibilities for targeted marketing. Are you selling women’s clothing that you know is most popular amongst 25 – 34 year olds in Europe? With the enriched user profile information you get from social providers, you have tools to offer your products directly to this specific segment and not waste any effort marketing to those who likely won’t be interested. Implementing social login and collecting profile information can be challenging when it needs to be done from scratch, but with Auth0 it’s as easy as flipping a switch. You can use any social provider you want and can easily specify which pieces of information you’d like your customers to disclose. Customer identity is key, and with Auth0 it’s easy. As an application user, few things are worse than needing to fill out a gigantic web form when signing up. However, getting good user data is a requirement for businesses to both stay competitive and to meet basic user information requirements. The good news is that you can use progressive profiling as a better, less invasive way to get the data you need, all while keeping your customers happy. Progressive profiling is a way to collect small amounts of user information over time. Instead of requesting that users provide everything at once, you instead prompt them to answer just one or two questions each time they log in. If you’ve ever used LinkedIn, you’ve likely seen progressive profiling at work already. With LinkedIn, you’re not forced to provide every conceivable piece of information all at one time, but rather you answer questions over time. 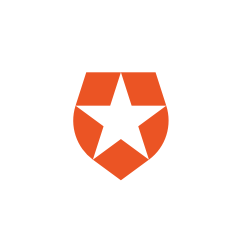 With Auth0, you’ve got full control over your users’ profiles. This means you can check what information you’ve already collected for your users and prompt them to answer anything that is missing each time they authenticate in your applications. This means you get all the data you need, all while providing your customers with a frictionless experience. You want to drive customers to your website or application because that’s what grows your business, but let’s face it: the market is getting more and more crowded all the time. That’s why providing your users with a great experience is becoming increasingly important and it’s one of the main reasons that some apps thrive while others don’t. After all, when friction is experienced anywhere in your app, it can quickly lead users to look for something better. When thinking about UX, it might be tempting to consider only what your users see and interact with once they are inside your application. However, a great UX starts even before that at the very first place they get to: the login box. When you use Auth0, you get our beautifully designed and thoroughly battle-tested login widget called Lock. Providing end users with a great experience was the priority when we developed Lock, which you get to pass on to your customers directly. Not only is Lock nice to look at, but the way it functions is backed by data. For example, we did some testing and achieved a 40% increase in our own signup conversion rate simply by changing the social login buttons to show text instead of just an icon. We want you to benefit from our findings, so we changed Lock’s default settings to have full-text social login buttons enabled for all users out of the box. Most people are accustomed to entering a username and password when they use applications, and in some ways, it might seem like that’s all that is needed for a proper authentication system. Sticking to username and password authentication might be fine for the simplest of apps, but what happens when your application grows and you want to take advantage user identity to drive your business? There are so many opportunities for making use of customer data that are often passed up because companies only have a simple username and password authentication setup. With Auth0, you can use username and password authentication if you like, but it doesn’t stop there. At the flip of a switch, you can enable social login with Facebook, Google, Twitter, or any other provider. This opens up a whole new set of possibilities for driving your business growth with user data. If you find that you don’t need social login for you apps, you can just turn it off. With Auth0, the option is yours. Marketing and selling to consumers often means competing for their time and attention, and that’s why it’s important that your customers are able to access all of your applications quickly and easily. Unfortunately, this becomes harder to do as your company grows and adds more and more applications to the mix. Often times a unique user base gets created for each application, and this means that your customers will need a different set of credentials for each one. This is problematic because it slows your users down. More than that though, many users have come to expect a unified authentication experience everywhere on the web since companies like Google provide it across all of their applications. Auth0 lets you get rid of this pain completely when you implement single sign-on (SSO). With your applications authenticating against a central SSO service, your users only need one set of credentials to log in to each of your apps. This is a huge benefit for your entire organization and is a great user experience improvement because it immediately reduces the friction your customers encounter when using your applications. Less friction = better business. Compliance reporting is a necessity for many modern businesses, even those operating solely in the B2C space. Whatever the reporting requirements placed on you may be, setting your system up to send user data to a third party can be a big pain. If you have a need to report user activities such as login frequency or location, custom-built systems can be difficult and time-consuming to implement. A strong sales funnel throughout the whole year is great, but sometimes it can be even better to hold special events. Perhaps you have a large single-day promotion that draws a lot of attention, or you take part in black Friday and see a huge uptick in traffic on that single day. Large-scale unique events such as these are the norm, especially in consumer-facing industries, but is your system ready to handle all that traffic? Auth0 provides you a truly web-scale platform that can handle in excess of 11,000 authentication requests per second. This means you can rest assured that logging into your website or app will not be a challenge for anyone on your big event day. Auth0 wants to make sure you have all the tools and help you need as you prepare to deliver an excellent customer experience with your apps. That’s why we’re here to serve you with world-class support. Your developers will be in direct contact with our Customer Success Engineers as you develop and deploy your applications, and no matter what the issue is, we’re just a click or a call away.